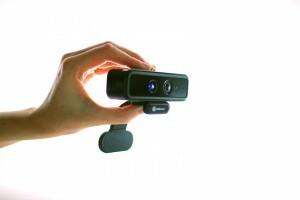 In addition, the company announced the general availability of iisu™ 3.5, its acclaimed gesture-recognition middleware compatible with most 3D sensors available on the market. In addition of its robust full body tracking features, iisu 3.5 now offers the capacity to accurately track users’ individual fingers at 60 frames per second, opening up a new world of close-range applications. SoftKinetic will demonstrate the new PC and SmartTV experiences and at its booth at Computex, June 5-9, 2012, in the NanGang Expo Hall, Upper Level, booth N1214. For business appointments, send a meeting request to events@softkinetic.com. The DS325 Professional Kit is available for pre-order now at SoftKinetic’s online store (http://www.softkinetic.com/Store.aspx) and is expected to begin shipping in the coming weeks. iisu 3.5 Software Development Kit is available free for non-commercial use at SoftKinetic’s online store (http://www.softkinetic.com/Store.aspx) and at iisu.com.